There’s a lot of misinformation surrounding emotional support animals. While many people have heard the term “emotional support animal” or “ESA” they may not know exactly what it does. ESAs are often confused with service animals, even by those who have an ESA. Many crazy stories about emotional support animals make the news, it’s important to know precisely what an ESA is. Under the Americans with Disabilities Act, any animal can technically be an ESA, but if you have a dog or cat, your therapist will be more likely to write you an ESA letter. Scientists have studied the psychological benefit of dogs and cats, but there is less research surrounding other non-traditional pets like snakes and squirrels. Airlines are becoming more restrictive as to what type of animals they will allow aboard the aircraft. Dogs and cats are easily trainable, but an emotional support chicken is less predictable. Animals that owners have trouble controlling and training could be hazardous to other passenger’s safety and health. Emotional support animals are not service dogs; there is a significant distinction. Service dogs are trained to perform critical tasks to those suffering from a physical or psychiatric disability. 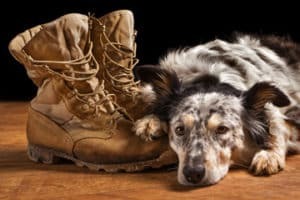 Service dogs undergo extensive training beyond obedience and are necessary to the lives of those with a disability, so they are allowed to accompany them everywhere. Emotional support animals do not need training beyond basic obedience. Any animal can become an emotional support animal. Getting a service dog is difficult, as it is a need-based service through special organizations for the disabled. The Fair Housing Act and the Air Carrier Access Act are the only laws that protect emotional support animals. Read more about these two laws here. The Fair Housing Act allows ESAs to live with their owners in housing that does not allow pets and prevents any pet fees or pet deposits. The Air Carrier Access Act allows emotional support animals to fly with their owners either on their lap or on the floor in front of their seat without having to pay a pet fee (for more information check out the Delta pet policy in cabin. Emotional support animals are a great benefit to those suffering from a qualifying mental condition. There is a lot of misformation and confusion as to what exactly an emotional support animal is and what their rights are. Many people confuse emotional support animals with service dogs, as the laws protecting them are different. The FHA and ACAA protect service dogs, but service dog laws do not protect ESAs. Read more frequently asked questions about emotional support animals.